Last Call For Blogging Your Way Students! We'll have a lot to cover in 4 weeks but I'll leave the class open at the end for an additional 4 weeks so that you can catch up if you need to. The forum will remain open during those additional 4 weeks so that you can network with fellow students. I will post a podcast weekly for 8 weeks, the final 4 weeks you will be invited to a special section in the forum where you can discuss the topic with other students. This is a self-paced, password only e-course so only students can access all course materials, website and forum. We will not have group homework assignments in this class but will have weekly homework that you can do if you'd like -- these exercises are meant to help you get the most out of this class but they are not difficult assignments -- they are fun! Class dates: September 3 (on the 3rd you will only receive materials to get you started, class officially kicks off after Labor Day weekend on Tuesday, September 7) and runs until October 4, 2010 with class/forum time extending until November 1, 2010. Requirements: Either 1. You do not have a blog but want to get one started soon OR 2. You are already blogging and want to learn some new tricks and connect with us and make new friends... You also need a digital camera (point and shoot or DSLR, your choice) and it would be helpful if you started your blog during class so that you can directly apply what you're learning as you go. Leslie and I cannot wait to welcome you to our next class - you can SIGN UP HERE until the class is full and then registration will close. 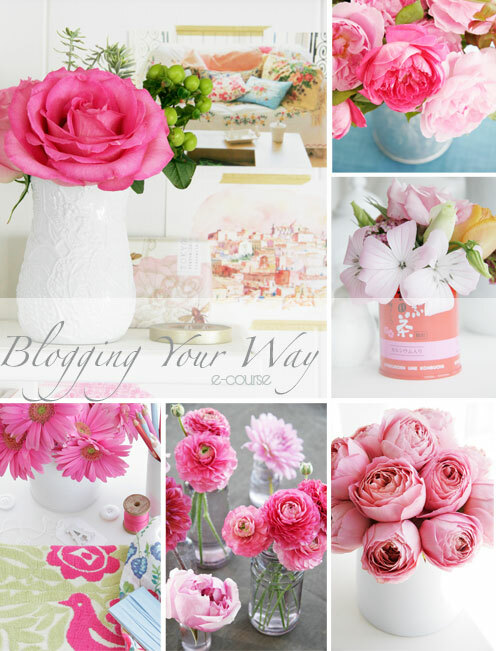 If you do not have a blog, enter decor8blog.com in the URL field on the sign up page. Enrollment ends on September 1st! We only have a limited number of seats left!